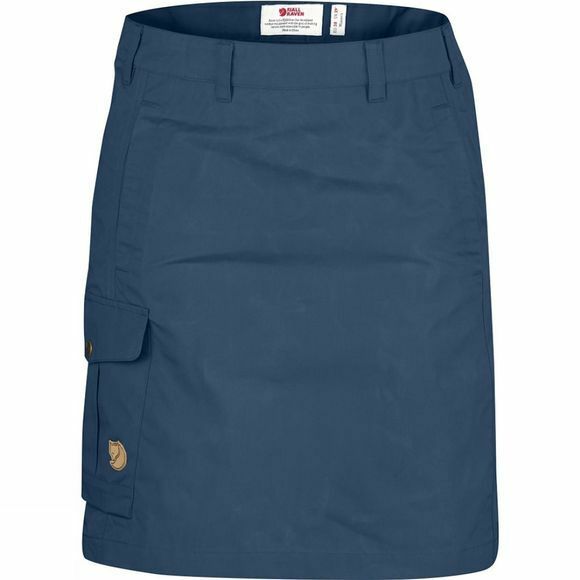 Timeless skirt for everyday use and relaxed outdoor life. Made from durable G-1000 Eco in recycled polyester and organic cotton. Knee-length model with well-fitting, feminine cut that allows long strides. Two hand pockets and a large leg pocket with buttoned flap. A loop at the waist allows you to attach equipment close at hand.